The Great Lakes surrounding Michigan have a profound effect on the local climate. The lake effect causes an excessive amount of precipitation year-round, with hot, humid summers and snow packed winters. The latter of which makes having a functioning furnace essential. While furnaces are designed to be durable, many homes require furnace repair in the winter to ensure the home is properly heated. At Applegate Home Comfort, we specialize in heating and cooling services, including furnace repair. 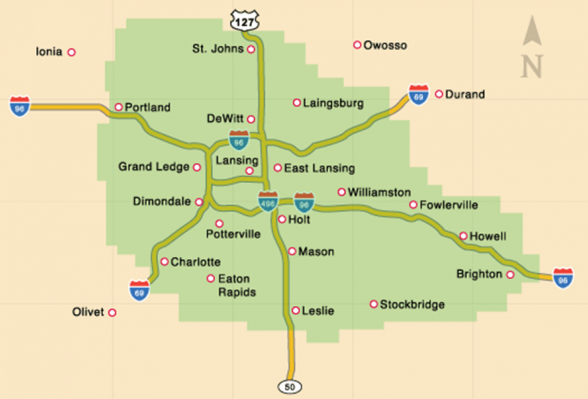 Holt, Michigan is no different than any other city in the Wolverine state, and luckily we offer furnace repair and other HVAC services to the residents of Holt. Before you contact us for our HVAC services, let us fill you in on furnace repair. When it comes to a malfunctioning furnace, there are a number of issues that could be to blame. One of the most common, however, is due to a lack of maintenance. Proper servicing is required to keep a furnace operating at peak efficiency. High Energy Bills: If your furnace has to work harder to keep your home at a comfortable level, it will use more energy. If your bills have increased considerably, this may be a sign that you need furnace repair. Aging Furnace: While furnaces are made to last years, they will eventually need to be replaced. If your furnace is older than 25 years, it may be time to replace your furnace rather than repair it. Strange Noises: There is no such thing as a silent furnace, but strange noises are a sign that something is wrong. Schedule furnace repair immediately if you have noticed this issue. Contact Applegate Home Comfort Today! Due to the necessity of a furnace during the winter months in Holt, furnace repair is one of our specialties here at Applegate Home Comfort. You can schedule maintenance online or give us a call at 517.337.7700 to get in touch with us today!